I just had to make one! 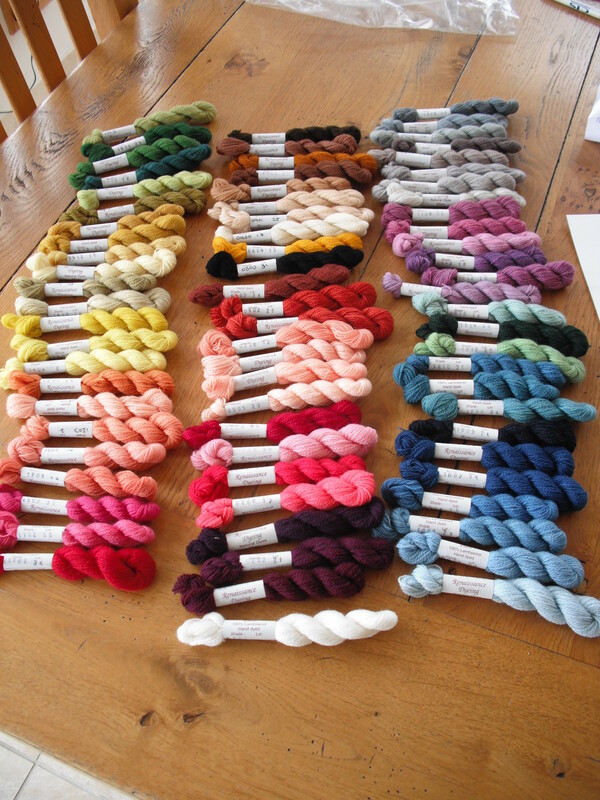 First I purchased the kit, which is available only from Renaissance Dyeing and comes from France. It arrived in double quick time and I laid out all the colours on the table – they looked so beautiful I didn’t want to start! Then I started the long laborious task of winding them into usable balls. At first I did this on bits of paper as I was so impatient I wanted to start making the scarf. 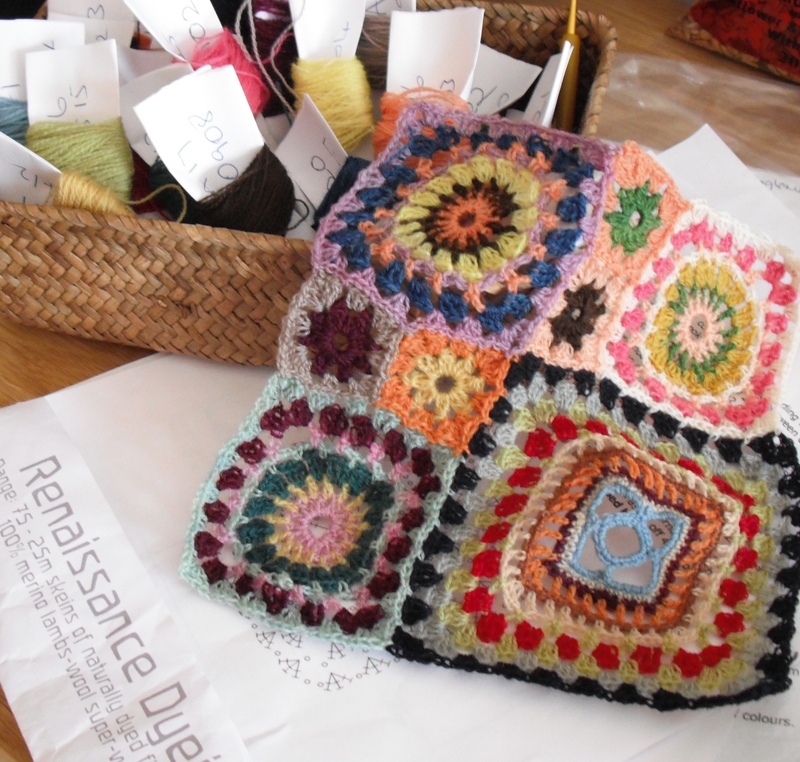 Within a few days I had used 25 colours and made the first 8 squares – only another 136 to go! In the top left of the photo you will see the yarn on bits of paper. After talking to a friend, who was tempted like me and has bought the kit, I very quickly realised it would be better to use embroidery cards and organise them into an embroidery box, so I had to rewind most of them! But it has been worth it. 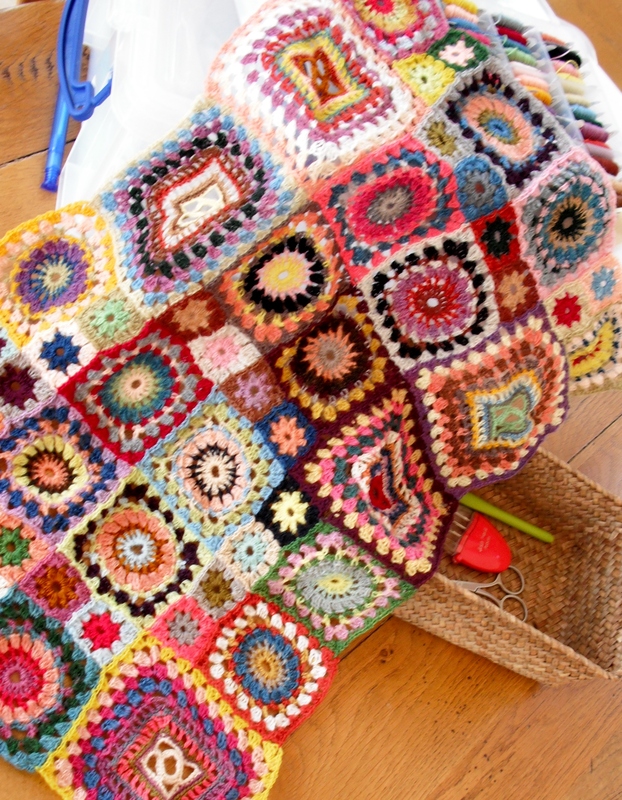 I set a plan to do 8 squares a fortnight and I am a little ahead of that plan – here it is now, 48 squares complete – so a third of the way through. 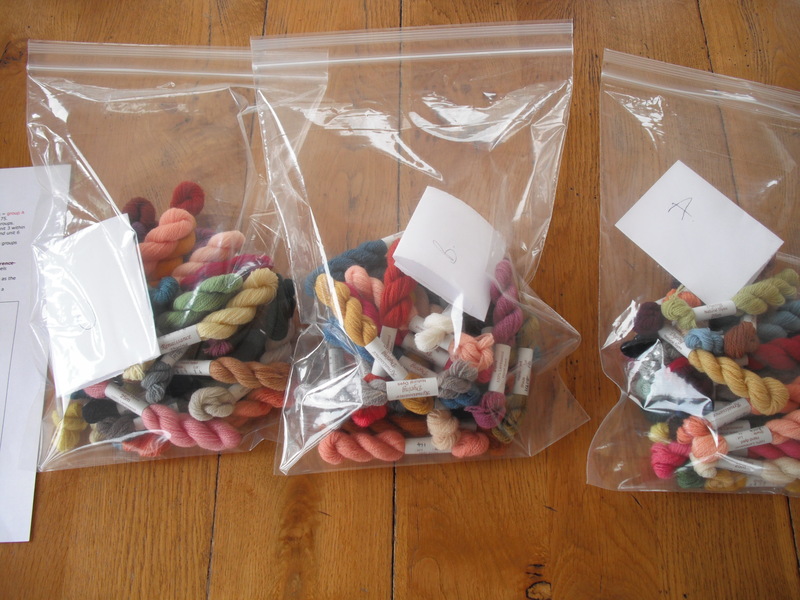 Look closely in the top right and you will see my yarns, now properly organised in a box! It should be finished in time for Christmas! I watched the Bee which brought back fond memories of when I used to sew most of my own clothes many moons ago. Ann was fantastic and I also researched which pattern her fab scarf was at the time. I shall not take on that task anytime soon, but I shall watch yours develop with interest. Enjoy! Thank you! I am already enjoying it, I did think that after a while I would start to get bored but I am enjoying the colours so much I doubt boredom will ever set in!